40V String Trimmer is rated 4.5 out of 5 by 437. Rated 3 out of 5 by toollover from Good tool, bad battery, not replaced undr warranty I love the tool itself and works great and has lot of power. My issue is with the battery. I needed to replace it once, and going on a second time in less than a year. The first replacement process was average, needed to provide tool, battery, and charger model numbers and serial numbers -- all after they were registered on the Ryobi tool site. I am on the second time and gave all the same information for the replaced battery, but they required that I provide the email that was sent to me more than 6 months ago. I do have my receipts from the initial purchase, but that's not good enough. Buyer beware of the warranty. Ryobi please support your customer base! Rated 5 out of 5 by SapphireBrand from Flexibility, ease of use This tool is a versatile power head with an attached line trimmer. I like the idea that I can add other attachments from Ryobi's family, so my investment in the power head can go farther without needing to buy more batteries / chargers. The line trimmer attachment works really well. The tool is light enough, long enough to be used by a normal-height human being, with handles and controls in good locations. The line trimmer cut fast and made short work of my property without running out of battery life. Of course, your mileage may vary on the battery life. 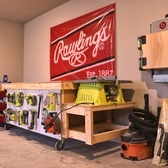 I bought into multiple Ryobi 40V tools, which really eliminates issues with battery life. 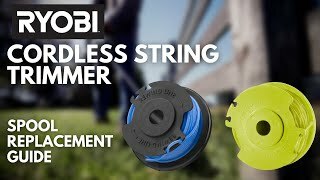 Rated 4 out of 5 by HelpingHand7 from Good VALUE I'm a new homeowner and recently bought multiple Ryobi tools because I did not want to mess with the maintenance of normal outdoor equipment. I am pleased with the power and run time of the trimmer. I don't have a huge yard but I do have many obstacles which I must weed eat instead of mow. 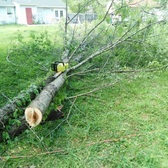 It is strong enough to cut down normal yard weeds and brush. The one con I see is sometimes the string comes out too much which results in a lot of wasted string. I would recommend this product to anyone with a small yard or if you want to buy an extra battery I recommend it to anyone with any size yard. Rated 5 out of 5 by UK Phil from A Dream Buy I bought this unit about a month ago. I have a large front yard and huge back yard. Rear fence is over 200 feet long. I also have numerous flower beds as well. This trimmer on one full charge did everything and still had 1 1/5 bars of power left. The noise seems higher in tone but it balances well in your hands and is easy to use. Assembly is simple too. It doesn't come with a shoulder strap though and for some they may like that. My previous gas Ryobi trimmer had one and it was useful at times. I had that for over 6 years and never had one issue with that, so hoping for the same quality here as well. Price is in the middle band for trimmers and so far worth every cent. Rated 5 out of 5 by leon2165 from Multi-Function, Easy Use, Very Powerful! I purchased this weed eater to replace my current 18V weed eater/edger combo device. At first, the price scared me, but, I already owned the lawnmower, so I decided to go all in. This thing has serious power, easly cut through weeds in my front yard, cleared up grass underneath tree without damage. My only complaint is it is so powerful that the protector does not do to much, it throws grass and sticks right back at me all the time, but, only hits my legs and feet, so not a huge issue. Overall though, this thing is amazing, its multi use ability and the fact it is portable and powerful makes it my new favorite tool. Rated 5 out of 5 by Worker Bee from Excellent tool I just bought this combo kit of string trimmer and jet fan blower. The trimmer is great. 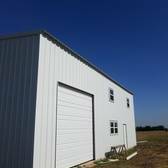 I have over an acre of ground with 21 trees, walk way, fence line, drive, etc. Lighter than my big Stihl, but still heavier than I expected. Cannot imagine trying to tote this with a bigger (5 AH) battery. With the 3.0 AH battery I can do about 90% of the job with a single charge. Have not yet had to change the line. No problem with the bump head advance. I have St. Augustine grass and the line cuts it with no problem. No more gas and oil in the shop and the trimmer is already ready to go. So far a great product. 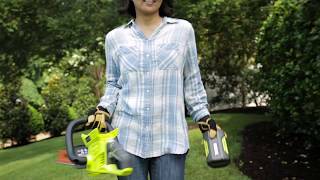 The Ryobi 40-Volt Trimmer combines cordless convenience with exceptional run time. With a 40-Volt slim pack battery, this string trimmer has more run time than most gas trimmers with fade-free power. This trimmer features an auto-feed string head that advances line with the pull of the trigger and accepts any of the Ryobi auto-feed spools for quick and easy reloads. 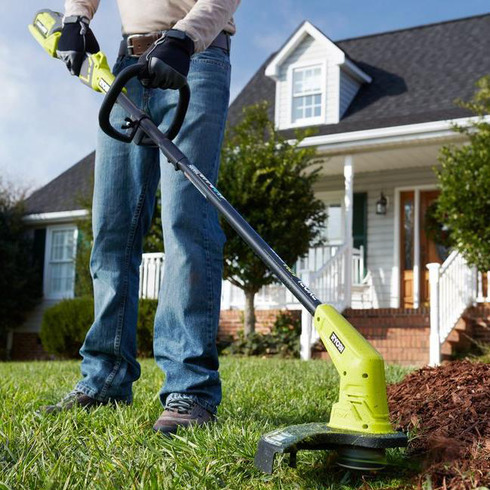 The Ryobi 40-Volt trimmer has a variable speed trigger, providing you with ultimate cut control. 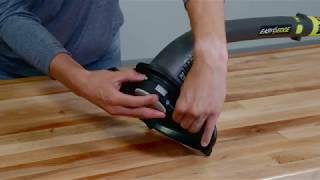 All this performance and convenience backed by a 5-year limited warranty, makes this the perfect time to go cordless.